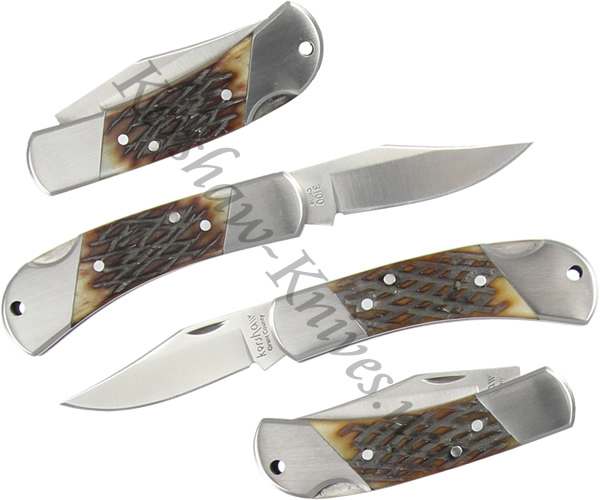 The traditionally designed Grant County Jigged Bone 3100JB knife is sure to appeal to the classic knife aficionado in us all. The tried and true lockback design and smaller size of the Grant County makes it an admirable starter knife for those just learning to properly use a knife. The jigged bone overylays against the polished steel bolsters are visually stunning. The 8CR13MoV stainless construction can be depended upon to last for generations.